Our time near Winslow, Arizona was all about history. 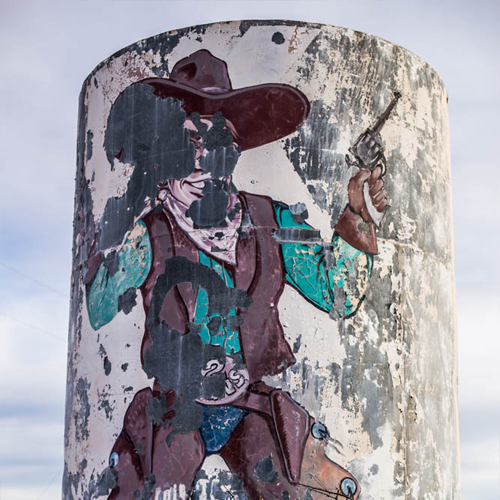 We took in the merely decades-old Two Guns, a Route 66 ghost town. 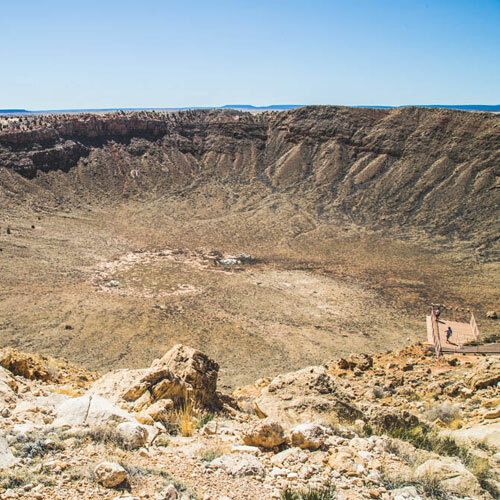 We examined the evidence of a pre-human cosmic event at Meteor Crater. But one of the best surprises awaiting us was Homolovi State Park, which celebrates history somewhere in the middle. We had this unassuming state park nearly to ourselves. 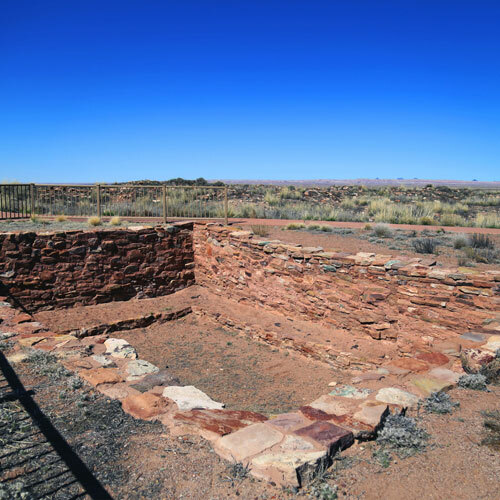 These days, Winslow is seemingly best known for its reference in an Eagles' song, but it was once home to the Anasazi, ancient ancestors of the modern-day Hopi. More than 600 years ago, an intrepid people built a thriving community here on the banks of the Little Colorado River. 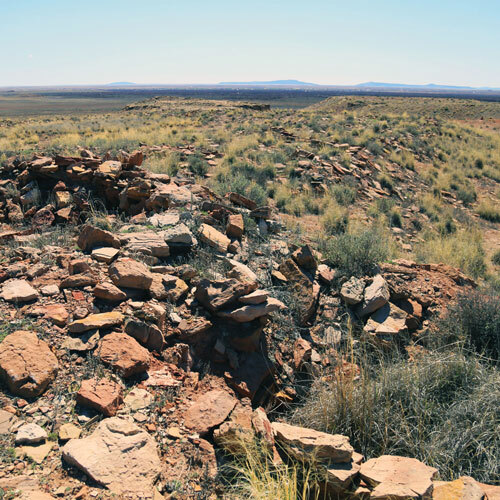 During our visit, we explored Homolovi II (pronounced Ho-MOL-oh-vee), the largest of the state park's archaeological sites, featuring a kiva and a staggering 1200 rooms. While most of the site remains in ruins, these rooms have been rebuilt to indicate their size. What is a kiva, you might ask? It's a ceremonial room built for spiritual purposes, dug into the ground. This kiva is fenced off for protection. Our favorite part about visiting this park was its approach to archaeological findings. The Hopi believe the pottery shards on the ground will be like breadcrumbs, guiding the return of the Bahana (elder brother) and, with him, a golden age. 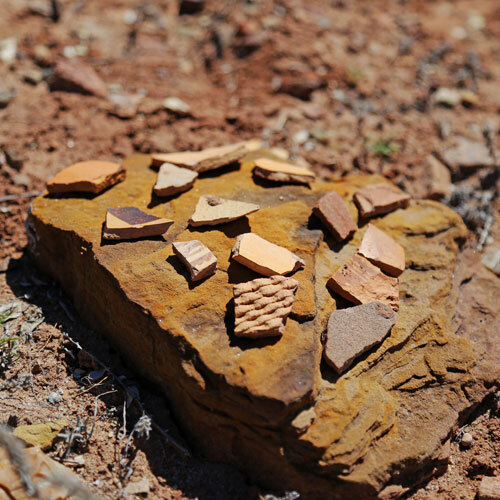 It is forbidden to take these pottery shards — but not to touch them. Visitors have placed some of the more striking shards on stones for easy viewing. We felt like amateur archaeologists, wandering along the path and bending down to examine the shards, which featured a variety of colors, paints, designs and textures. The pottery is remarkably diverse. It was fun to imagine how impressive this community must have been during its heyday. Strategically placed by the Little Colorado River, the water source was more than just a pretty landmark. Even when the river looks dry, moisture can always be found by digging below the surface. Homolovi II remains a beautiful place today. 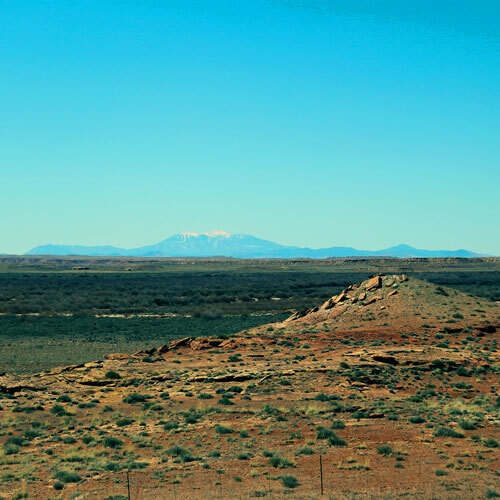 In the distance from this ancestral community, the modern-day dwelling place of the Hopi is visible: First Mesa, Second Mesa and Third Mesa. Most of the rooms at Homolovi have collapsed like these in the foreground. The Mesas are in the background. Dominating the western horizon are the San Francisco Peaks of Flagstaff, another sacred site to the Hopi people. Our visit was a victory. In 2010, this state park and others was forced to close due to budget cuts. During this time, there was great fear that the sites would be vandalized. Fortunately, the park was re-opened in 2011, and it is under the state's protection once again. 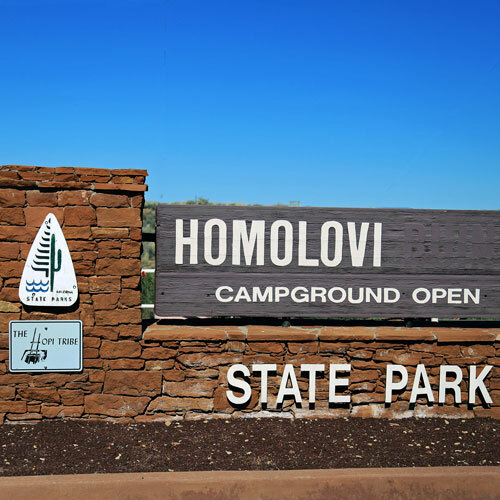 A site rich with history, art, spiritual significance, and beauty, the serene Homolovi State Park is a worthwhile visit for anyone passing through northern Arizona. 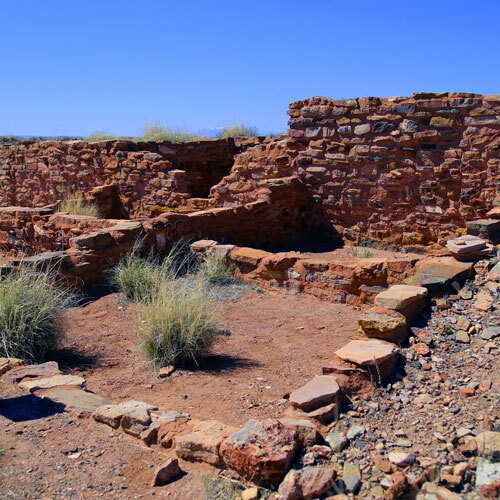 Have you visited any Anasazi ruins? Let us know about your experiences.